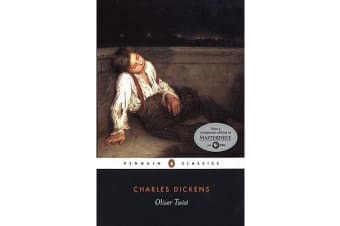 The story of the orphan Oliver, who runs away from the workhouse only to be taken in by a den of thieves, shocked readers when it was first published. Dickens’s tale of childhood innocence beset by evil depicts the dark criminal underworld of a London peopled by vivid and memorable characters – the arch-villain Fagin, the artful Dodger, the menacing Bill Sikes and the prostitute Nancy. Combining elements of Gothic Romance, the Newgate Novel and popular melodrama, in Oliver Twist Dickens created an entirely new kind of fiction, scathing in its indictment of a cruel society, and pervaded by an unforgettable sense of threat and mystery.This is the first critical edition to use the Bentley’s Miscellany serial text of 1837-9, showing Oliver Twist as it appeared to its earliest readers. It includes Dickens’s 1841 introduction and 1850 preface, the original illustrations and a glossary of contemporary slang.